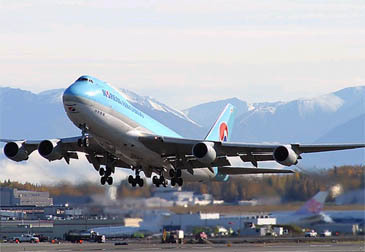 With high season for winter drawing closer, Korean Air is geared up for major Chinese tourist destinations popular for Korean holidaymakers and golfing tourists. 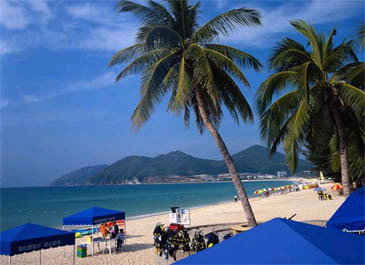 They include Hainan, Kunming, and Xiamen, to name just a few, which are popular for seasonal Korean tourists in winter. In the case of golfing tourists, the three destinations are particularly popular because they are easily accessible by air within four hours or so with reasonable air fares. Against this backdrop, Korean Air to increase its flight frequencies to Hainan to seven times a week starting Dec. 1. B-738 plane with 149 passenger seats will be put into Incheon-Hainan route. For Kunming and Xiamen, however, bigger airplanes will be used to meet the increase in seasonal passenger demand instead of increase of flights for the time being. In the meantime, Shanghai Airlines is beefing up its sales activities in Korea. The Chinese air carrier with over 80 domestic routes covering 27 large or medium Chinese cities, including Beijing, Guangzhou, Kunming, Shenzhen, and Xi'an started its air service to Korea on Oct. 15. On the occasion of its inauguration service, Shanghai Airlines in cooperation with local travel agents offered special rate promotional tour products on Oct. 15, 17 and 18. In the case of tour product offered by Lotte Travel, price tag for a four-day tour covering Shanghai, Hangzhou and Suzhou was set at 349,000 won, whose normal price is 399,000 won. Prices of other tour products offered by Lotte Travel are 769,000 won for a five day tour of Shanghai and Zhangjiajie and 799,000 won for a six-day product. Notwithstanding off-season market climate, specially arranged tour products to Shanghai are attracting more tourists than expected, said a Shanghai Airlines official.